When I think of the carnival I have great memories of going with my family and friends. My parents would take me and my brothers every year and they would let us go on what felt like every single ride. My dad and uncle would play games and win us prizes that we didn’t need. I also have fond memories of the smell of cotton candy, popcorn and the iconic carnival pizza. The bright lights and pretty colors were always so fascinating to me. 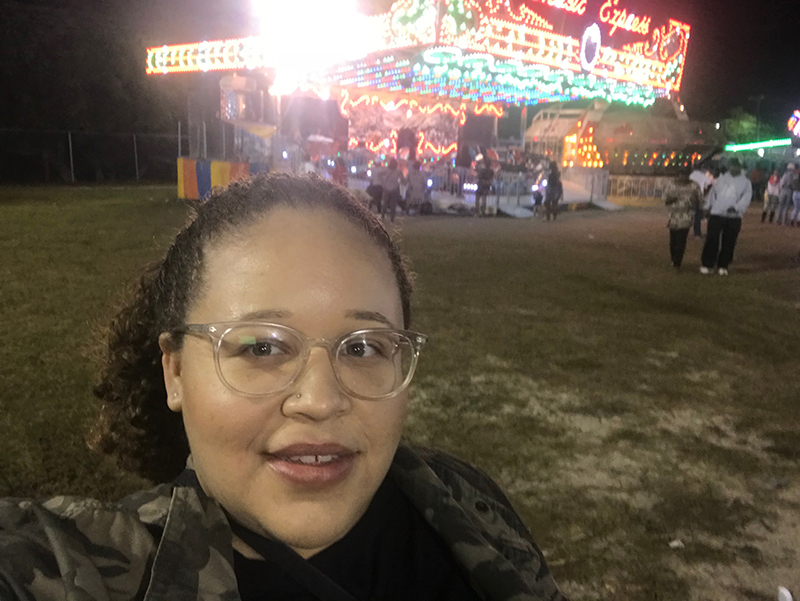 When I saw that the carnival was at a new location this year, I made up my mind that I would go and check it out. Although I waited pretty late; going was nostalgic for me, a lot of the old favorites are there and they have added a few new rides. The new location at Clifford Park was an excellent idea. It made finding parking a lot easier and allowed the carnival to have two entrances so the lines to get in were a bit shorter. I found the layout to be more efficient than it was at the previous location. The rides and games are more spread out so there is more space to walk around. Even though there was a lot of people there it didn’t feel as jam-packed as it usually does. This was a welcomed change for me because I do not enjoy big crowds jammed into small areas. I didn’t go last year so I can’t say if the variety of foods on offer was larger than previous years, but it did seem like more food stalls to me. There was the usuals like cotton candy, popcorn, candy apples, chicken wings, corn dogs and pizza. 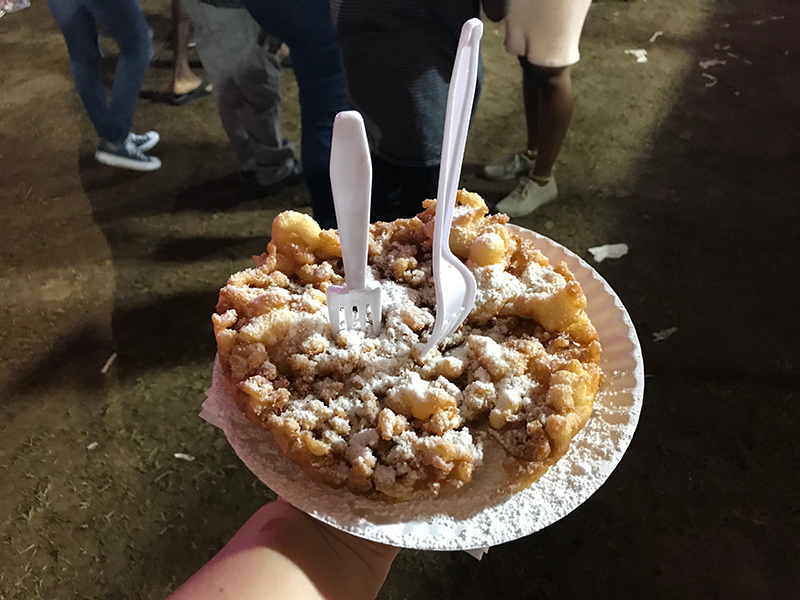 Then a few eats I don’t remember ever seeing at the carnival, like funnel cakes and fried Oreos. My dad and I got a corn dog each and a funnel cake to share. We watched both the corndogs and funnel cakes be made right in front of us so we knew that they were fresh. The corndogs were good, the funnel cake was such a huge portion my dad and I only ate a quarter of it and took the rest home. My only complaint about the carnival is there was no place to actually sit down and eat. If you got something like a hamburger, fries and a drink both hands would be full and there is no way you would be able to eat. I can see how the carnival could be expensive for a family with kids, so it would probably be best to purchase one of the ticket packages they are offering. Also try not to purchase an excess of tickets, if you are not able to use them they will not refund you. I already knew which rides I wanted to go on so I asked how many tickets each ride cost and purchased the exact amount of tickets I needed. 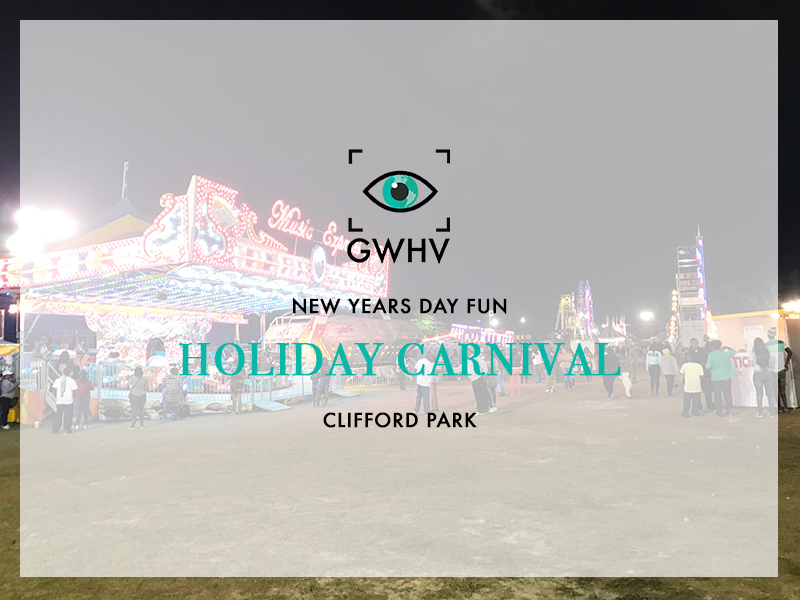 The holiday carnival is leaving January 20th so If you are planning to go there is still time. If you went to the holiday carnival let me know what your thoughts are on the new location. Did you like the setup? What is your favorite ride? Like it is still fun!